Everyone in this present age is now feeling that it becomes unhealthy to breathe both on the street and at home as well. This is especially true for rooms where the air is very rarely refreshed and almost never cleared. This air is in most cases filled with various bacteria, carbon dioxide, harmful fumes from furniture, etc. If you open the window, the exhaust gases of the cars will immediately enter inside your room, similar is the case for the radiations from the mills and factories located in your surroundings. But to save you from intoxicating your body every day, you should consider to buy an air purifier. The main thing is to correctly determine the most appropriate device in the market. Such equipment should have a series of functions that will facilitate a person’s life. Below we will be considering these factors in more detail in the light of cleaning technologies today. 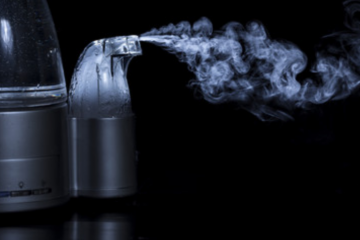 The primary purpose of air purifiers is to remove harmful impurities from the air. Whatever the device, the main things to consider in its design will be the filter used into it. As a rule of thumb, air purifiers use several different types of filters that are designed to neutralize various pollutants. Mechanical filters are often used as pre-filters. They are a fine mesh and are designed to remove pets hair and other large particles. Mechanical filters are reusable filters, and to clean them, vacuum the device or wash it in warm water. Compared to mechanical, electrostatic filters also known as Ionizers can trap smaller particles, up to hundredths of a micrometer in size. The standard operation of such this equipment is based on the attraction of opposite charges. Here, polluted air is passed through the ionization chamber, where the particles acquire a positive charge, after which they settle on negatively charged plates. The basis of the coal or carbon filter is activated carbon. This element can adsorb harmful gases. This type of filter is used most often to eliminate unpleasant odors and gas impurities. As a rule, they are used in addition to screens with a different principle of operation. Such filters are not subject to restoration, and therefore, after the development of a resource, they are merely changed to new ones. HEPA Filters, abbreviated to High-Efficiency Particulate Air, are used not only in homes but also in medical institutions or laboratories. That is, they are used in those places where the demand for clean air high. Such a filter is made of a porous material based on fiberglass. Due to their design, they can trap particles up to 0.3 microns. The continuation of the technology of porous materials based on fiberglass steel filters TRUE HEPA, a hallmark of which is the ability to eliminate up to 99.97% of allergens and other pollutants. The only demrit of this technology is the difficulty of maintenance, as well as the rather significant cost of filters. As for Photocatalytic Filters, they do not accumulate pollution in themselves, as can be seen in all previous types of filters. They break down organic substances, chemical compounds, and unpleasant odors into substances harmless to the human body. That is why a photo catalytic filter can never be a source of pollution in life, unlike all other types of filters that begin to pollute the air in a room after their life ends. The principle of the photo catalytic filter is based on the ability of ultraviolet radiation to split quite complex substances using a catalyst. Among other things, such radiation can kill various microorganisms. The effectiveness of such equipment is quite high because it can clean the air from a variety of contaminants, including gases and viruses. Among other things, the advantage of such a filter can be considered a long service life of the filter element. Such type of filters known as ionizer cleaners are most popular due to their abundance, ease of operation, and accessibility. Air purifiers with built-in ionization can include various filters or clean indoor air only by ionization. Purification is done by electric charge. If we consider the process in more detail, we will see the metallic needles with tip diameter of 5–10 μm are supplied with high voltage, which allows the electron to flow. They combine oxygen molecules that receive a negative charge. This turns them into negatively charged ions that are naturally occurring. Due to these elements, air is purified outside the city. If we talk about the natural environment, here ions are formed during a thunderstorm or due to the ultraviolet rays of the sun. When negative ions collide with pollutants in the air, they are attracted to them because they have a negative charge. The particle formed as a result of such manipulations becomes larger and eventually settles under the influence of gravity. 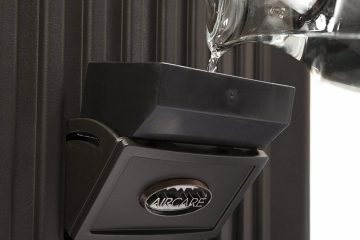 Therefore, the air is cleaned from bacteria, odors, and dust naturally. Also, this cleaning process is one of the most effective. Neutralize the negative impact on the person working televisions, computers, etc. The first step is to decide the purpose or the place for which you are buying an air purifier. Mostly air purification is for an apartment or office. If we talk about the most popular conditions, it will be the cleaning of the air from allergens or harmful chemical production. 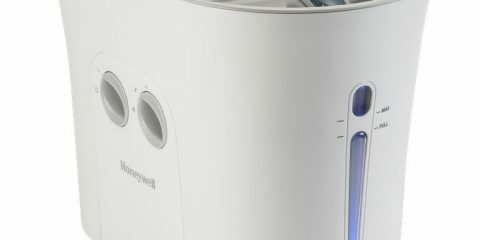 One of the most common mistakes is the acquisition of a less powerful air purifying device than necessary, to save money. That is, people don’t consider the most optimal cleaner for the given conditions, and go for the one which is pocket friendly. After the optimal power is determined, you need to choose the type of filters used, which depends on the elements contained in the air. If it is necessary to eliminate unpleasant smells of cigarette smoke or smells of cooked food, then it is better to take care that an additional carbon filter which is installed in the construction of the device. It helps with absorption of unpleasant odors and gases. If it is necessary to eliminate allergens, then a HEPA filter is used, which can hold all kinds of substances that cause allergies. If, in addition to the ionizing element, several more purification steps are used, then the effect of using a filter will be much higher. In fact, such a screen is more expensive. Critical in the selection process is the issue of noise. The higher the speed of air treatment, the more sound the device makes that not many buyers consider when buying. Many tools can operate in several modes. Moreover, another benefits to add in the device is the timer included in it. This is a very convenient option because the invention can be programmed to clean the air before the owner arrives from work. To help buying best air purifier, experts recommend paying attention to additional features. So, it is not always necessary to go with the air purifier with the function of a filter, because in some areas the air already has enough moisture, and its increase will have a negative impact on health. An ionizer is an essential thing that charges the air with negatively and positively charged particles of oxygen. This allows a person to be more vigorous and less tired.